Poland wants to replace Germany as the US’ preferred partner in Europe, taking advantage of American distrust with Berlin over Nord Stream II and trade disagreements while capitalizing on the Pentagon’s desire to “contain” Russia, thus satisfying multiple strategic objectives at once. The Polish leadership believes that the region-wide “Three Seas Initiative” of 11 other Central and Eastern European states that it wants to lead is ideologically compatible with the Trump Administration’s anti-liberal populism and represents another strategic convergence with the US. 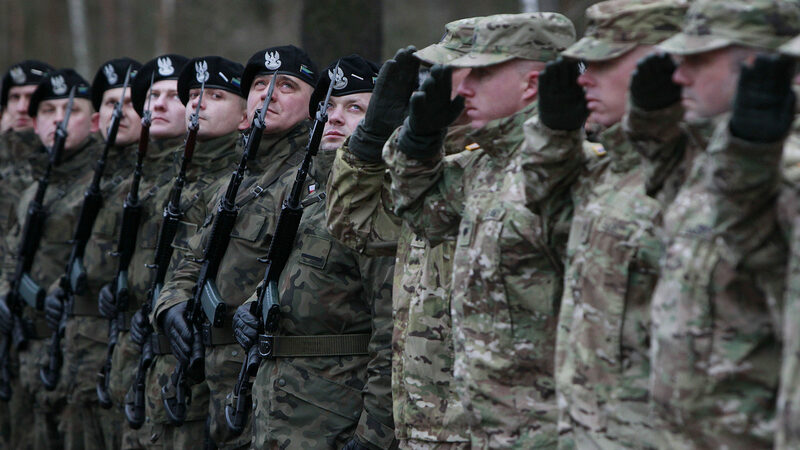 Paradoxically, however, while Poland is striving to advance its national sovereignty, it’s nevertheless sacrificing it by wanting to host an American military base, which is why a deeper explanation of this proposal is necessary. Poland isn’t just strategically important to Germany, Russia, and the US, but also to China, being Beijing’s top partner in the 16+1 collection of Central and Eastern European states and correspondingly one of its top Silk Road nodes. China is constructing a high-speed railway between the Hungarian and Serbian capitals that’s expected to travel further southwards through the Balkans in connecting to the Chinese-owned Greek port of Piraeus, one of the largest in Europe and the envisioned terminal of what can be called the Balkan Silk Road. This project, however, could also expand northwards through Slovakia and thus to Poland, the largest country in the region and the heart of the “Three Seas Initiative”, which would be a game-changing geopolitical development if it ever happened. The US would clearly oppose the unrestricted expansion of a Chinese-built multipolar transnational connective infrastructure project into the EU via the “Balkan backdoor”, but any potential Hybrid War disruption that it could cause in the Balkans in order to offset this outcome could be avoided if America gains control of this Silk Road corridor through a military base in its most important Polish node. Although appearing at first glance to nullify the strategic utility of this project, it might nevertheless be the only way that the US would allow it to be built, which if successful, would enable Poland to “balance” between the US & China as it seeks to undermine its German & Russian Great Power neighbors. Curiously, Polish and American interests converge through the Balkan Silk Road because this Chinese project could reroute Western European-East Asian trade from the Russian-transiting Eurasian Land Bridge and correspondingly strengthen the “Three Seas Initiative” to the point where it could challenge German control the EU and make a bid for decentralizing the bloc back to a national sovereignty-focused collection of states from its current status as a bunch of German neo-imperial colonies. Assessing the grand strategic implications if a US base in Poland leads to Washington accepting the Chinese-built Balkan Silk Road’s possible expansion to Warsaw one day, this would clearly result in serious long-term losses for Germany and Russia while being a major victory for the US and China. As for Poland, its benefits will entirely depend on how well the government can maintain a “balance” between the US’ growing military influence and China’s future economic one. Poland is doomed to fall to Russia again.